17 years have passed since the massacre of Iran's political prisoners, but the pain has not gone away. The subject is still taboo in the Iranian press and no official has yet been brought to justice. 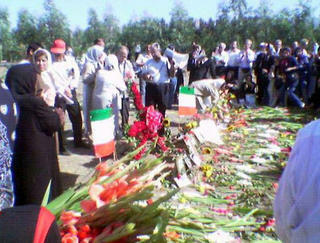 Khavaran was one of the mass burial places of Iran's best sons and daughters. The bodies were accidentally discovered when an Armenian priest noticed stray dogs digging up for bones. Every year families of victims gather there with pictures of their loved ones, to mark the anniversary of a genocide that went unnoticed. I too always remember my dear friend and class mate, Bizhan Bazargan, who was executed 8 years into his nine year sentence. His body was also never returned to his family and they were banned from holding a public wake. Bizhan was brave as well as a genius. Even in his teenage years he never feared to stand up for what was right. His intellect impressed us all. I remember he wanted to be a medical doctor and he always used to study medical books. He would have been an asset not just for Iran but for mankind. Sadly the enemies of knowledge extinguished his light in his early years. I always wonder how he looked at the moment of his death. I imagine him with the uncompromising look he had when he faced injustice. I imagine him roaring back in defiance at the cleric who asked him the two deciding questions, "Do you believe in Allah? Are you prepared to publicly renounce your past activities?" Today, the families of the victims gathered at Khavaran with pictures of their loved ones and placed flowers on unmarked tombs. 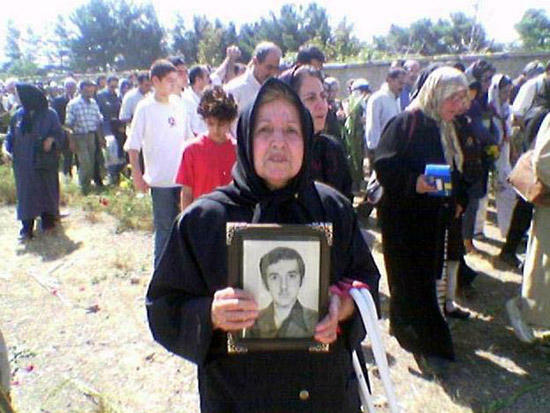 I too salute these intrepid sons and daughters of Iran, and during these days I think of Bizhan and the others. Farewell my friend! sorry I couldn't be with you in your last fight against our adversaries... I will never forget our pact. I wish to start writing about natural antioxidants. What do you think? good 2 c u here.